Bluegrass upstarts Mandolin Orange have shared the video for “Golden Embers,” premiering exclusively here at Paste. “Golden Embers” is the second track off the band’s forthcoming album Tides of a Teardrop, out Feb. 1, 2019, through Yep Roc. The video, directed by Josh Sliffe, tracks Marlin and co-vocalist/multi-instrumentalist Emily Frantz in the present day as Marlin looks over his younger self, stuck in the throes of grief and unable to reach out. Empty church pews and abandoned junkyard jalopies give the video an air of apocalypse, even if it’s only an internal one. 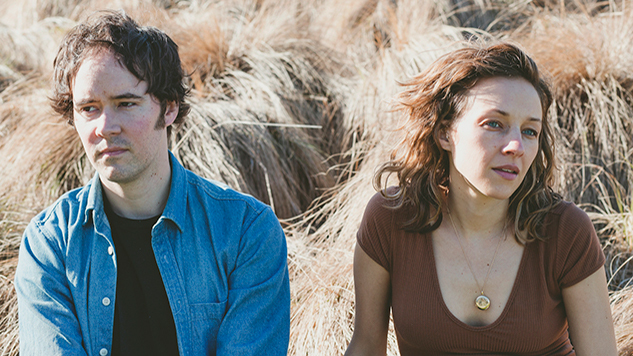 Mandolin Orange have a handful of December shows on the books, and will be touring in support of their new album throughout the spring. Alongside their new single/video today, the duo have announced a new batch of U.S./Euro tour dates set for April and May. Watch the video for “Golden Embers” and check out the band’s 2016 Paste Studio session below, and find Mandolin Orange’s tour dates further down, with new shows in bold. You can preorder Tides of a Teardrop here.